Lock in a great price for Comfort Hotel Evreux – rated 8 by recent guests! Friendly staff, no charge for dogs, tea/coffee making in room and private parking. The room was very clean. The bed was comfortable. The location of the hotel is convenient for a stopover between the ferry port and our destination. We did not eat at the hotel so cannot comment on the meals. Excellent service, location and general amenities. Tea/coffee in room, private parking, restaurant on site and no charge for dogs. Overall, the perfect stop-over. Location is perfect and easy to find. Bed and room are comfortable. Wifi is working good. Excellent breakfast but no evening meal served Friday to Sunday inclusive. Bedroom was very good. In the bathroom there is no hairdryer but otherwise all good. Friendly staff, lovely food, fantastic value. Thank you ! Staff were very pleasant. Dinner and Breakfast were good. Very comfortable. 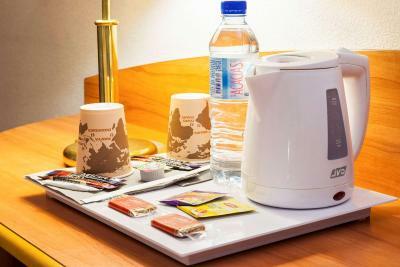 Also liked the tea/coffee facilities in the room. Bathroom was spacious and had plenty of fluffy towels. The room was spacious and renovated. We liked that the room had a bath. One of our best sellers in Évreux! 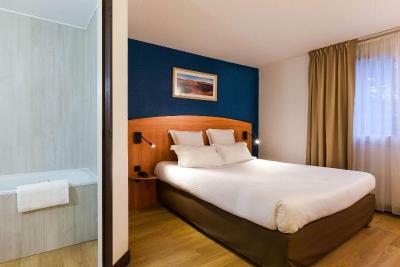 Located just a 5-minute drive from Evreux town center and train station, Comfort Hotel Evreux offers a 24-hour reception. 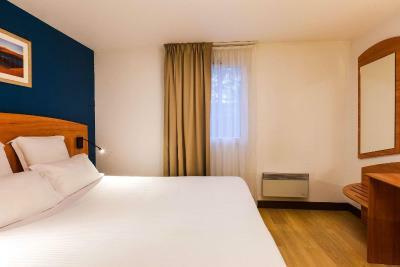 Rooms are modern, peaceful and well-equipped with flat-screen TV with satellite channels, wardrobe, work desk and tea and coffee making facilities. 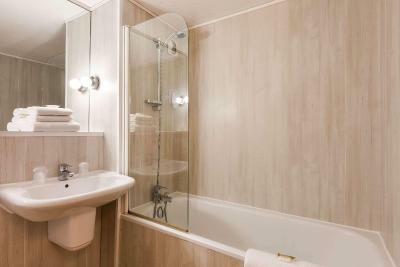 The private bathroom includes a bathtub or shower and a hairdryer. 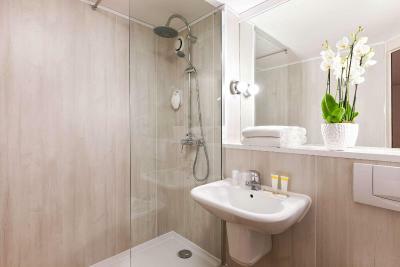 Some rooms are adapted to guests with reduced mobility. A buffet breakfast is available each morning and the on-site restaurant serves traditional cuisine. Additional features at the property include daily newspapers, free WiFi access and free private parking. The N154 motorway is just 0.6 mi from Comfort Hotel Evreux. 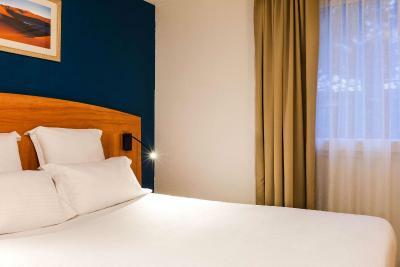 When would you like to stay at Comfort Hotel Evreux? House Rules Comfort Hotel Evreux takes special requests – add in the next step! Comfort Hotel Evreux accepts these cards and reserves the right to temporarily hold an amount prior to arrival. You must arrive at the hotel before 11 pm. Your room cannot be guaranteed after 11 pm. If you cannot change your time of arrival, please contact the hotel in advance. The restaurant is closed every Friday evening to Sunday evening, the evening before bank holidays and during certain school holiday periods. The passages smelled of antiseptic cleaner. The paint at the bottom of the bathroom door was damaged. The staff were satisfactory, but could have smiled more. My room was under roof and outside wall was sloped awkwardly.......fortunately I was alone and could sleep on "right side" of bed. It was very noisy late into the night and early morning with guests arriving. We were unable to get a good night's sleep because of this. No shuttle service from hotel. Hotel forgot my wake alarm. Soft comfortable bed. Quiet and peaceful room. Nice and clean, friendly staff.